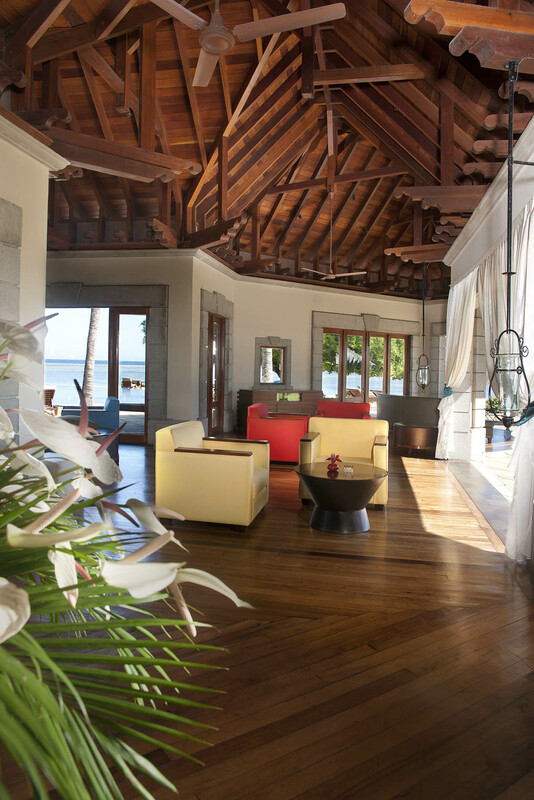 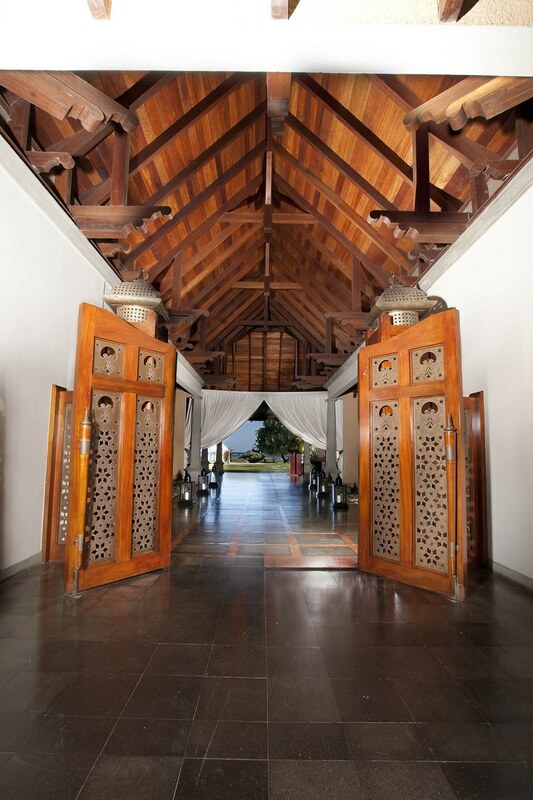 Overlooking the clear shimmering waters of the Indian Ocean on the west coast of the island of Mauritius is the magnificent Maradiva Resort and Spa, an exclusive haven of only 65 villas set amidst 27 acres of beautiful landscaped gardens of local flora and fauna. 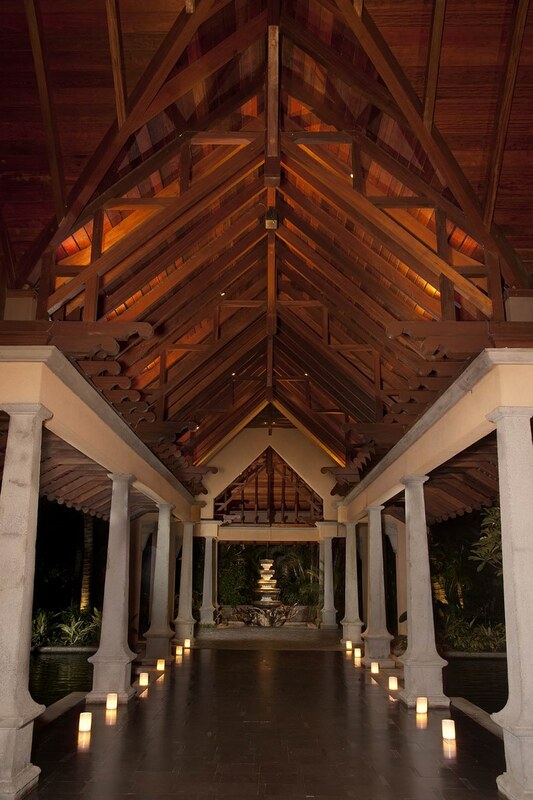 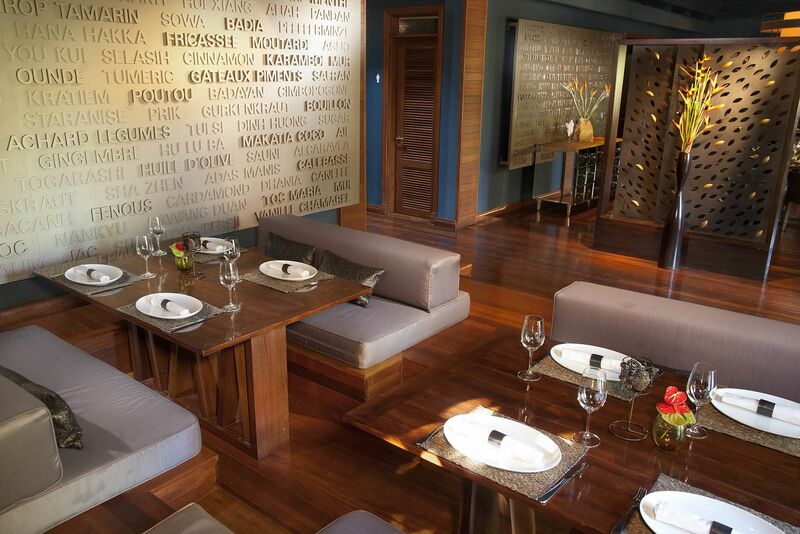 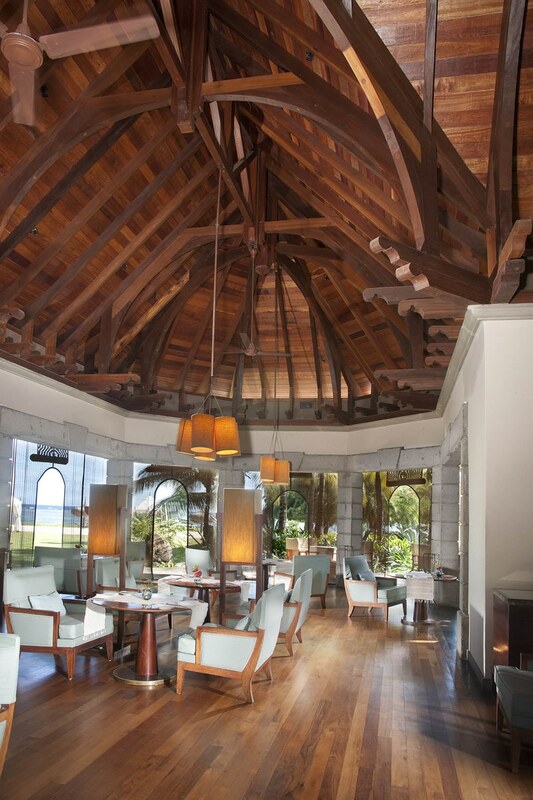 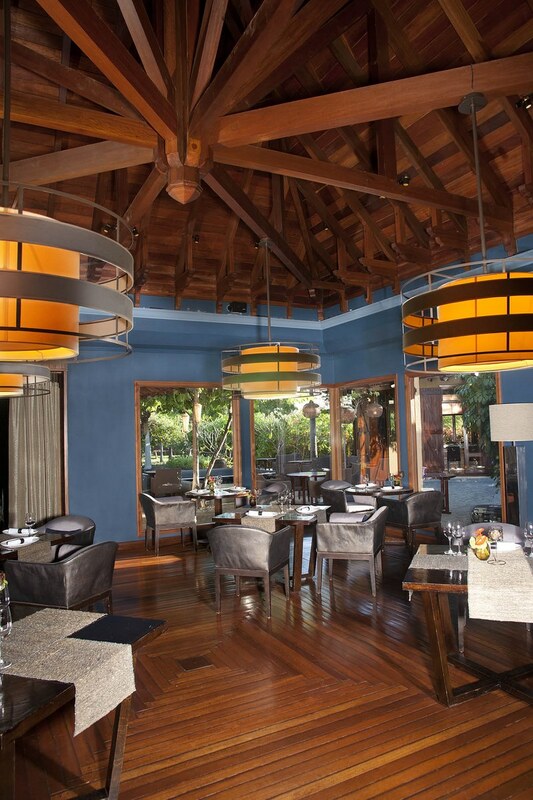 Featured in this chapter is one of the resort’s restaurants called the Cilantro. 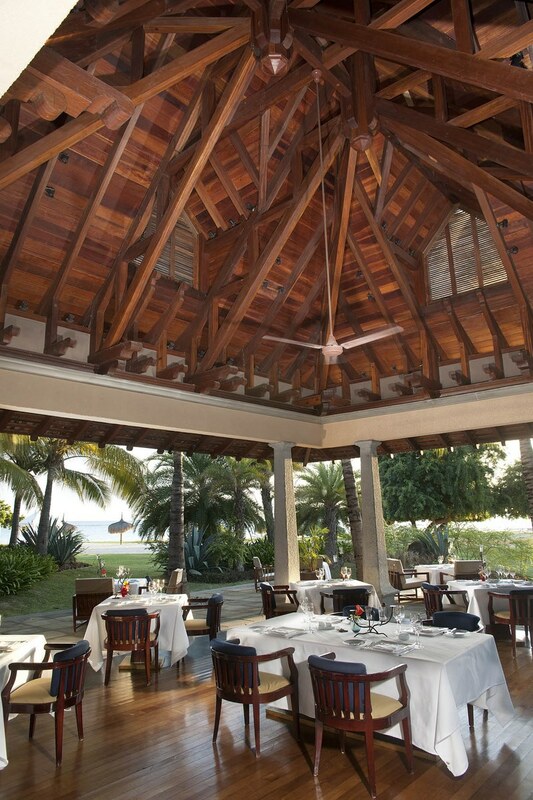 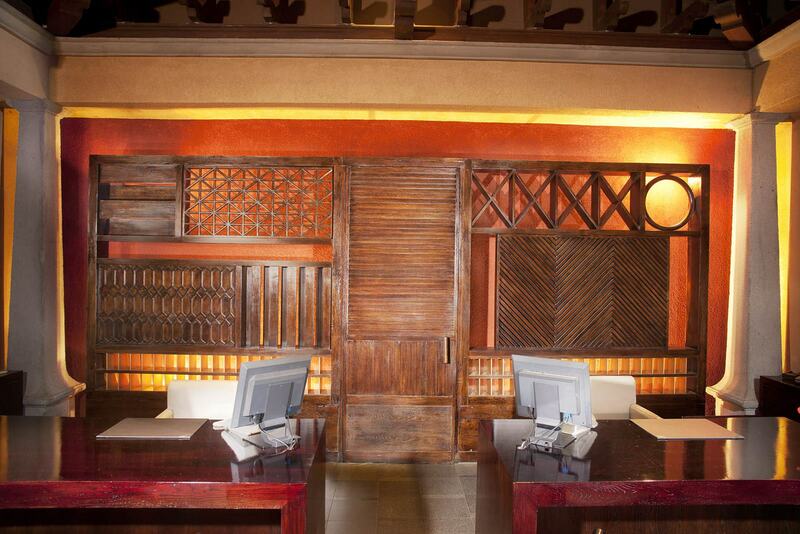 The restaurant complex comprises an octagonal-shaped structure, and another building with regular restaurant seating. 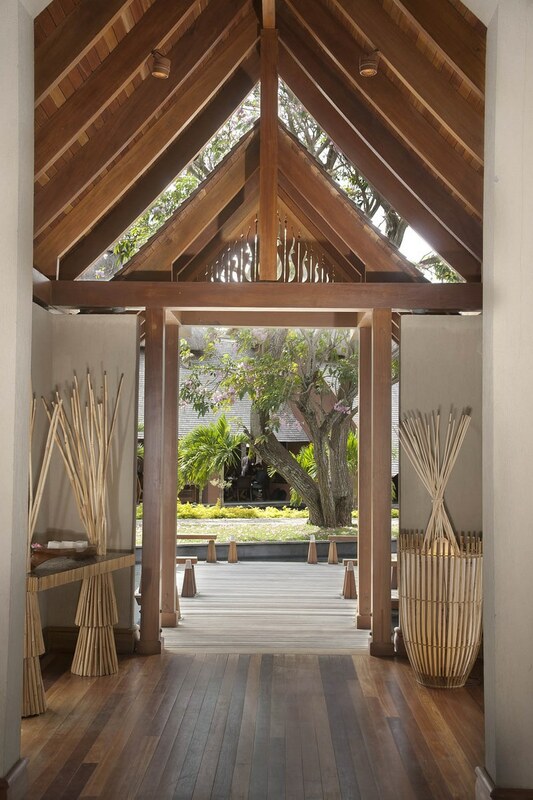 The complex has a central courtyard in a beautiful garden setting. 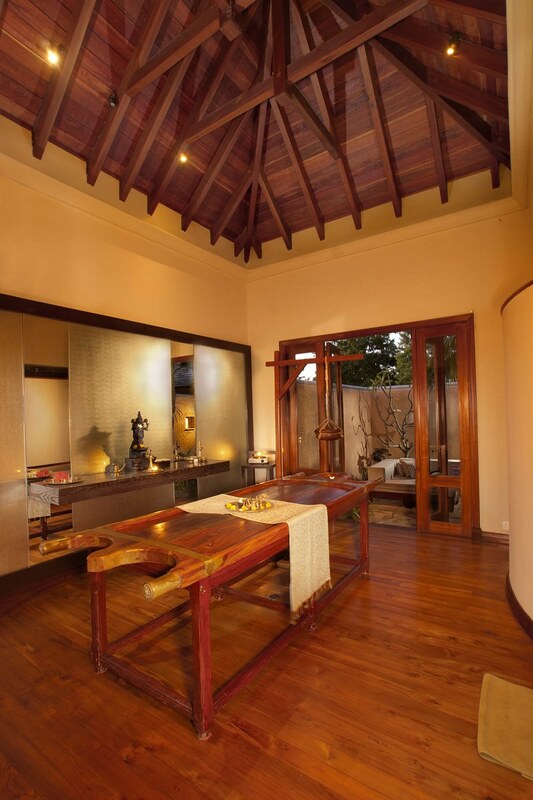 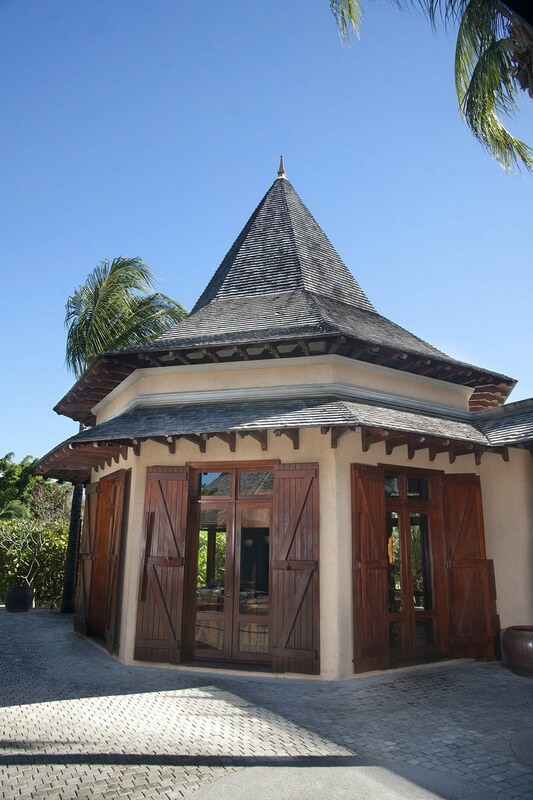 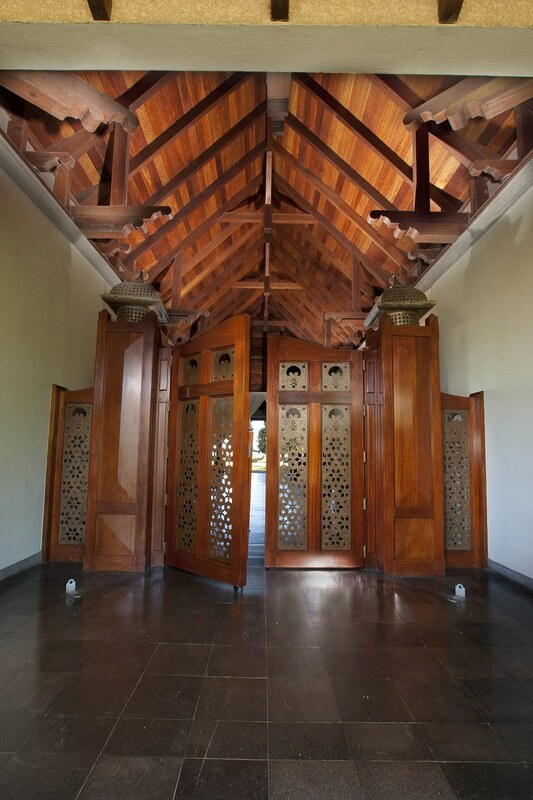 The barn-like octagonal-shaped structure with a shingled stupa-like roof on one side of the courtyard houses an open-style kitchen where guests can sit around the teppanyaki grill and enjoy seeing the meals being prepared. 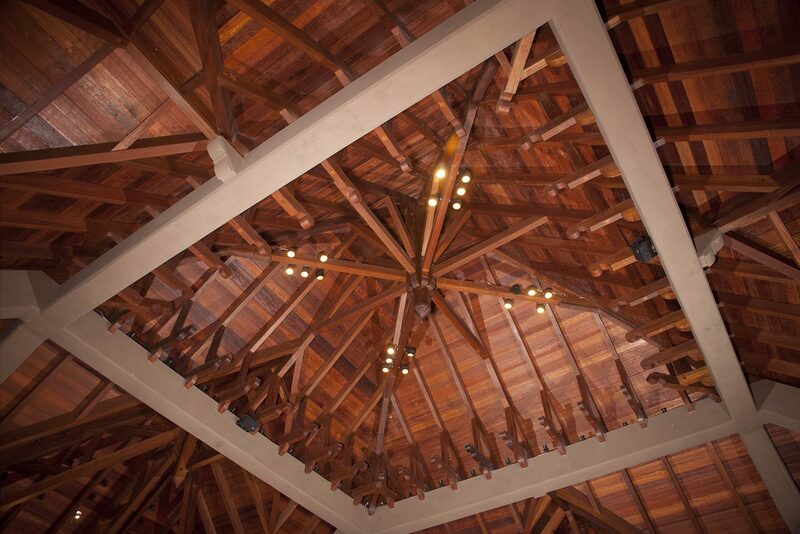 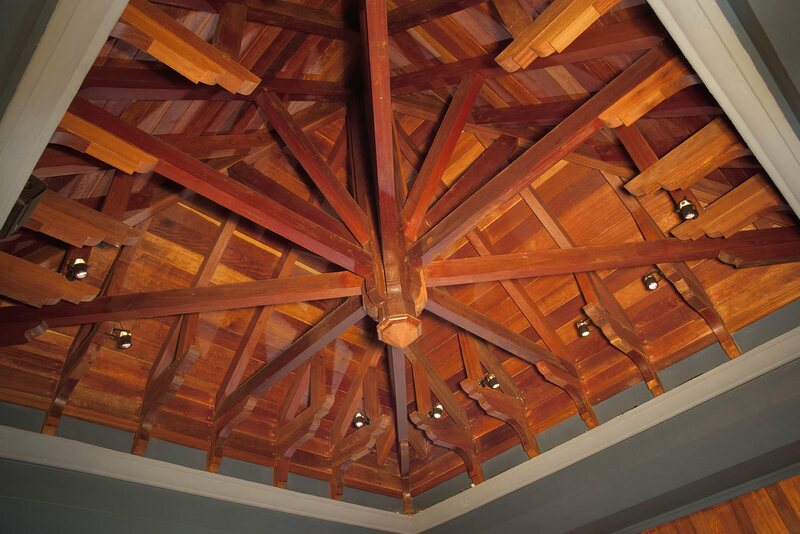 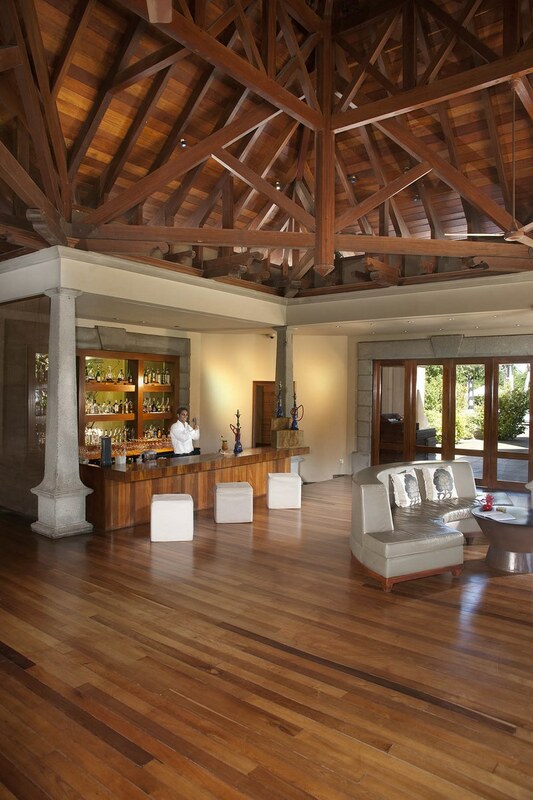 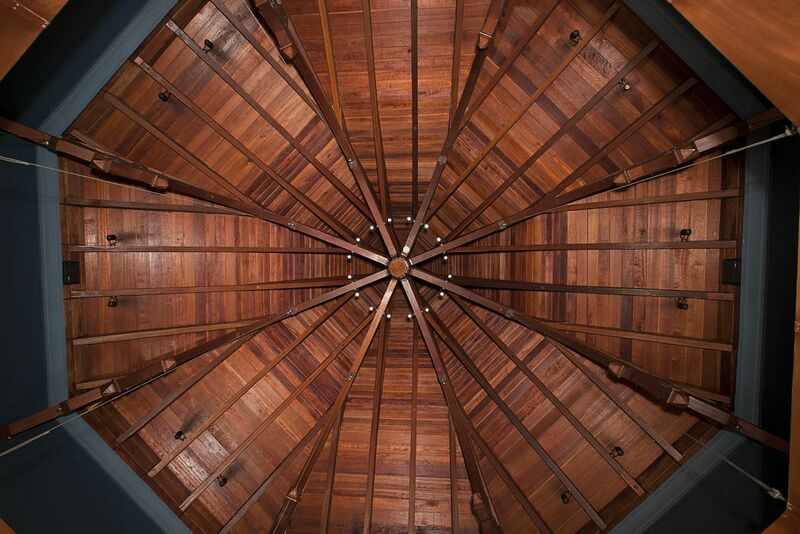 The deliberately exposed roof structure features Kempas trusses and rafters, forming a beautifully symmetrical octagon, a visual feast. 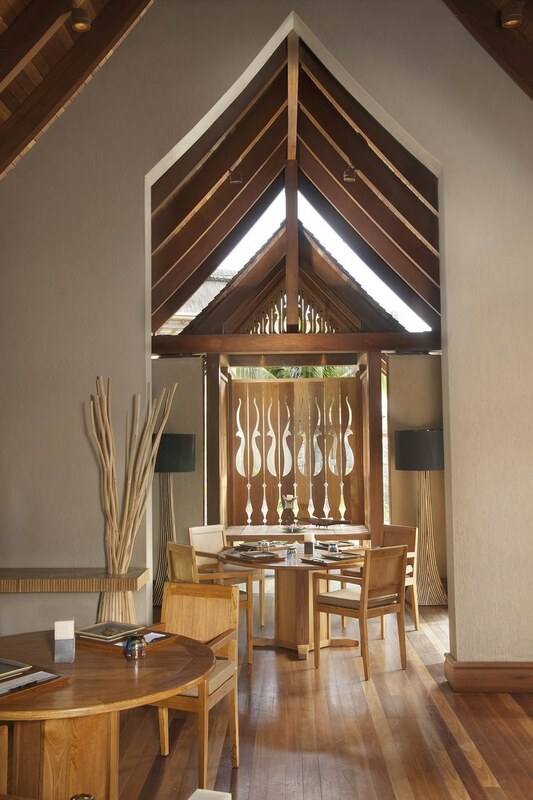 This built form also has Meranti-framed glass doors on all eight sides, allowing natural light to illuminate the inner space. 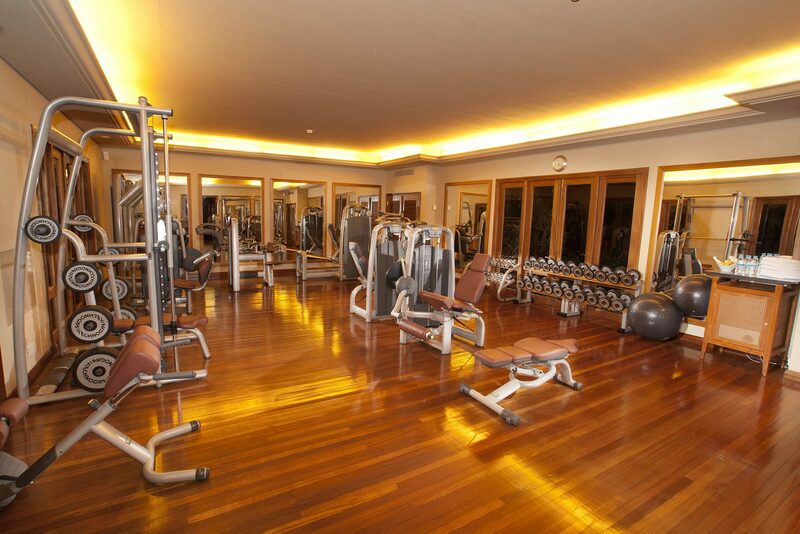 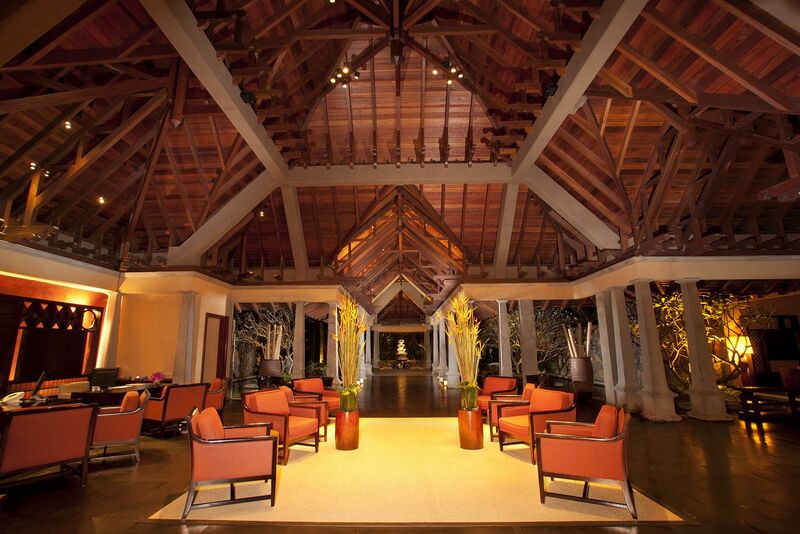 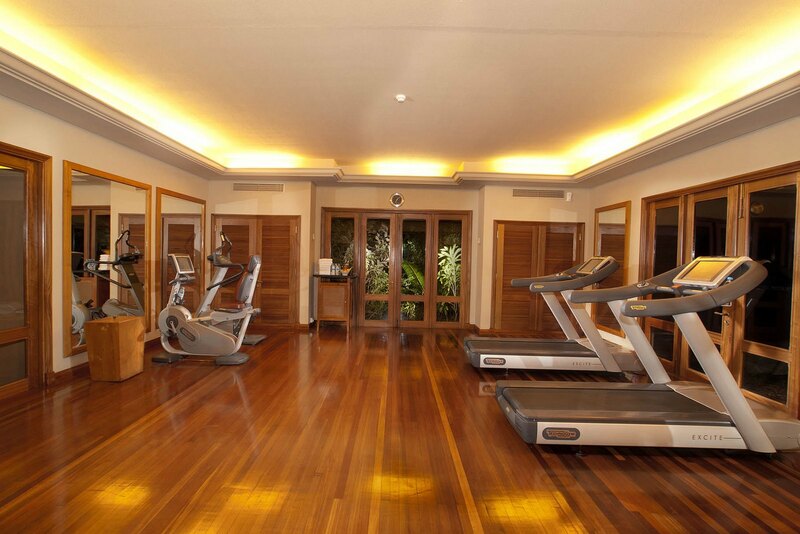 All the flooring at the Cilantro is made of Balau while the shingles are mainly Kempas.